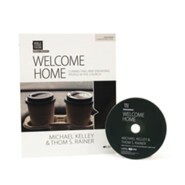 Welcome Home Bible Study Book includes Bible-study content, small group experience for six sessions, applicable Scripture, key-word study, and a life-application section called "Live It Out." Two practices are foundational to the identity and mission of the church: (1) evangelisminviting others into the family of Christ and (2) discipleshipleading those people to grow in their walk with Christ and in ministry with His body, the Church. While most Christians would certainly agree with that truth, were not always a welcoming people who encourage spiritual growth and participation in the life and ministry of the Church. Its wise to periodically ask ourselves how were doing at welcoming others to the faith and the family of God. 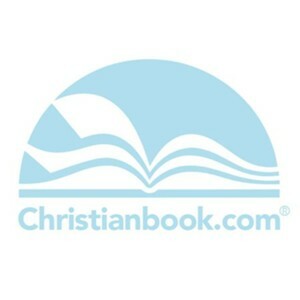 This study complements the book Becoming a Welcoming Church by Thom S. Rainer, highlighting biblical teaching and examples that support the practical suggestions in the book. It examines several principles that will show your church family how to clearly and authentically communicate, "Were glad youre here." &bull; Learn how your life can serve as a welcome mat to the church. &bull; Recognize that welcoming others into the church goes beyond a friendly handshake. &bull; Understand how to ground your service and love in hospitality. &bull; Discover how and why its important to go out of your way to love others. &bull; Understand how authentic joy flows from a relationship with Jesus. &bull; Realize that engaging others with the gospel means going to where they are. Michael Kelley lives in Nashville, TN, with his wife, Jana, and three children: Joshua, Andi, and Christian. He serves as the director of groups ministry for LifeWay Christian Resources. As a communicator, Michael speaks across the country at churches, conferences, and retreats. He is the author of Wednesdays Were Pretty Normal: A Boy, Cancer, and God; Transformational Discipleship; and Boring: Finding an Extraordinary God in an Ordinary Life. He is the author of more than two dozen books, including Breakout Churches, Autopsy of a Deceased Church, Simple Life, Simple Church, Raising Dad, The Millennials, and Essential Church. His recent book, I Am a Church Member, was #1 on the CBA best-seller list for several months, and Who Moved My Pulpit? was released in June 2016 by B&H Publishing Group. I'm the author/artist and I want to review Bible Studies for Life: Welcome Home, Bible Study Book.